We are a leading Manufacturer of universal hydraulic ot table, manual ortho tab c arm compatible ot table and orthotab e-electric operation table from Mumbai, India. 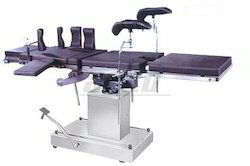 We offer an extensive gamut of Universal Hydraulic OT Table which is specifically designed to offer total satisfaction for positioning of patients required for modern surgeries. Manufactured from stainless steel and other high-quality materials, it ensures long-lasting performance and durability. Our assortment of electric operated table is fabricated from high grade stainless steel to ensure reliability and durability. 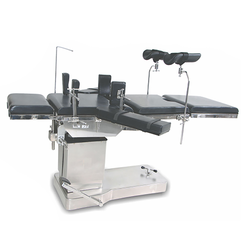 Electrically operated, these Orthotab E-Electric Operation Table are ideally suited for all major and minor surgical procedures. It is equipped with four sectional x-ray translucent top finger touch handset controlled positions.